Paul Pinch Wakering WFC’s 60+ captain has been nominated to represent the club at the South Eastern England trials at Barnet FC on 2 February 2019. 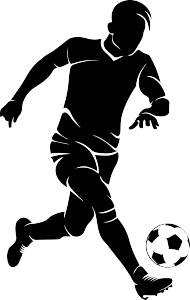 It is hoped that he can join Peter Henry another Wakering WFC player who is in the current England 50+ squad and has been selected to play in International matches. Wakering Walking Football Club is dedicated to promote the health of men over the age of 50 by providing weekly walking football sessions played on 3G pitches of the highest standards at the Len Forge Centre Eastwoodbury Lane Southend-on-Sea SS2 6UH. We are currently looking to register new and existing players for the 2019 season which starts in March. 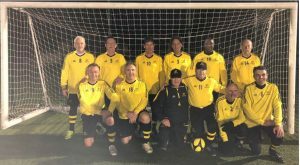 If you are interested in registering for a highly competitive team and are motivated by winning trophies and keeping fit to enhance a better quality of life then please go to our contact page and enter your details or email enquiries@wakeringwfc.com for more information. If you want to find out more about walking football, why not check out some of the information available on our DOWNLOADS page. This includes the current EWFL Match-day rules available for download. Training & Match dates will be added here. No events yet - keep watching!